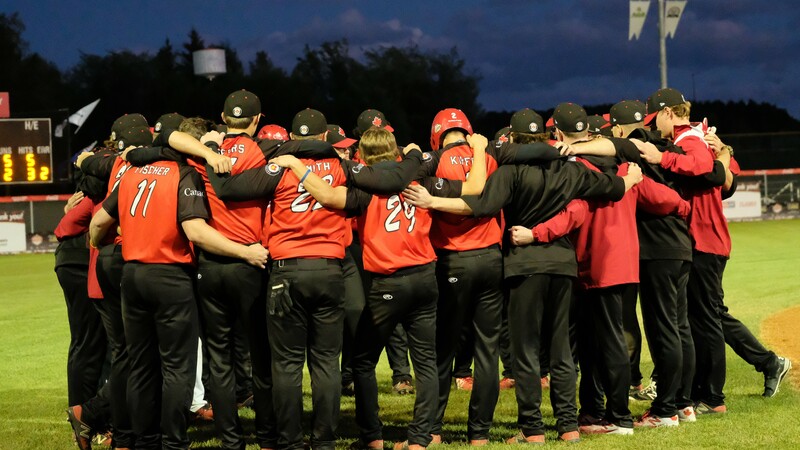 A packed house at Prime Minister Ballpark in Prince Albert witnessed this evening a new edition of the biggest rivalry in Men’s Softball world. 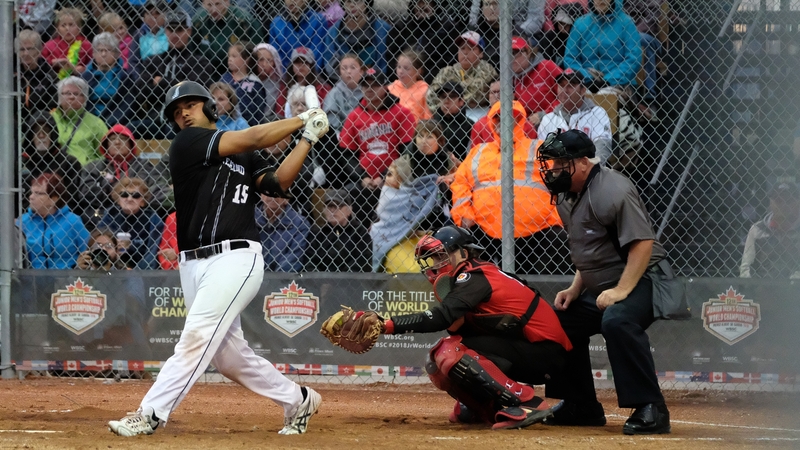 In a very exciting game New Zealand defeated host Canada, 5-2, and advanced to the semifinal of the tournament; while Canada was eliminated and ended at fourth place. New Zealand’s first threat was in the first inning. Catcher Harrison Valk hit a leadoff single to right field, and advanced on a throwing error by Canadian catcher, Brendan Hagerman. Then he reached third on a sacrifice bunt by Kaleb Rona, but starter Owen Torrie struck out Reilly Makea and Andre Hart to end the inning. Canada also placed a runner in scoring position in its first offensive inning. Isaac Lefevbre walked, and Jordan Pomeroy followed with a hard single to right field. Lefevbre tried to reach third, but he was thrown out by right fielder Hart. Then Makea fanned Brady Hogg and Dallas Kipfer to keep the zero on the board. In the second inning again the Junior Black Sox put a runner on third base, with two outs. Seth Gibson hit hard just off the glove of second baseman Kipfer, stole second and reached third on a wild pitch. But then again Torrie avoided any damage with a strikeout. In the top of the third the Junior Black Sox finally jumped ahead in the scoreboard. Valk scored Ryschan Thompson with a triple, on a perfectly executed hit and run play. 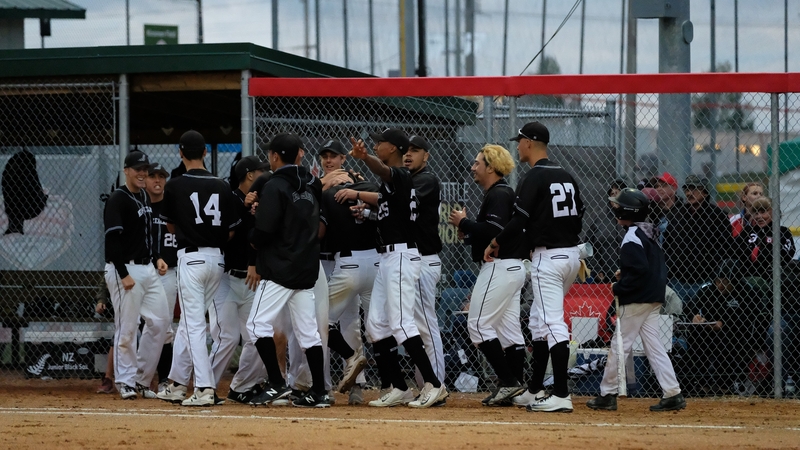 And then he scored on an RBI single by Kaleb Rona to left field, with a noisy group of New Zealand fans screaming and standing on their feet. One inning later the Black Sox scored twice again. Huw Davis and Seth Gibson drew a pair of walks, and then scored on a wild pitch. 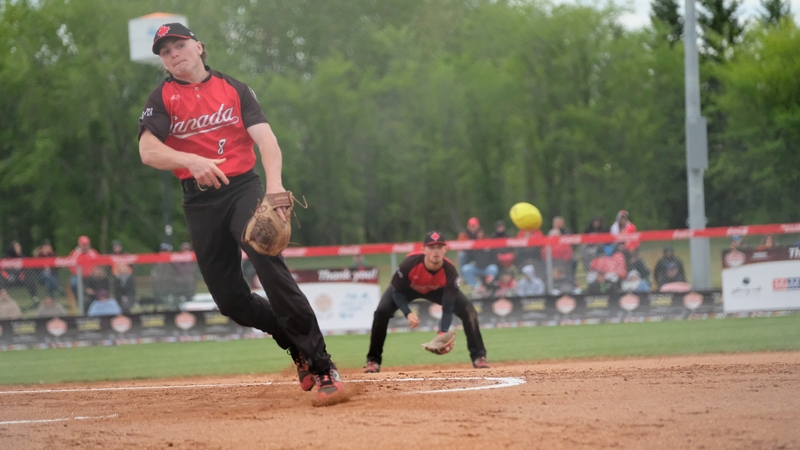 Pinch runner Kody Clueard scored from third, and then Gibson crossed home plate in the same play, after a throwing error by Canadian catcher Hagerman. In the top of the fifth the team from Oceania added one more run, this time with a very long home run by Valk, his third hit and second RBI of the game. 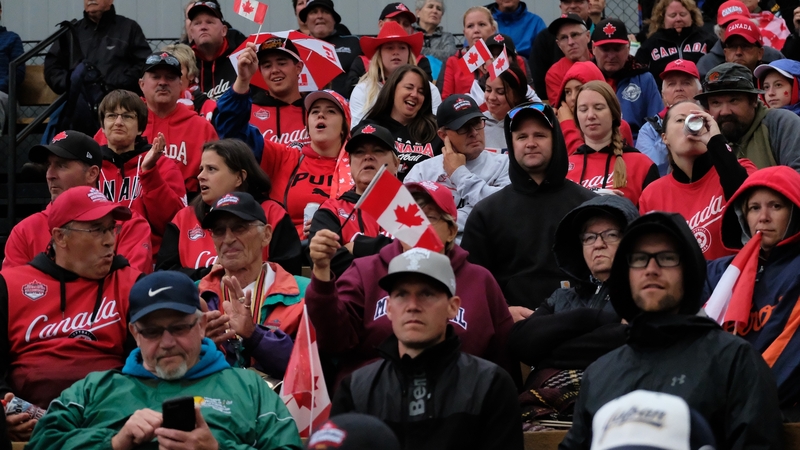 Canada reacted in the bottom of the sixth inning. Noah Baker singled to lead off the inning, and one pitch later Lefevbre hit the ball over the left field fence for a two run homer, to put the score 5-2. In the bottom of the seventh a quick base on balls by reliever Joshua Kelly gave the 4 thousand Canadian fans some hope. But then Kelly retired easily the next three batters with a strikeout, a fly ball to second base and a soft grounder to end the game. 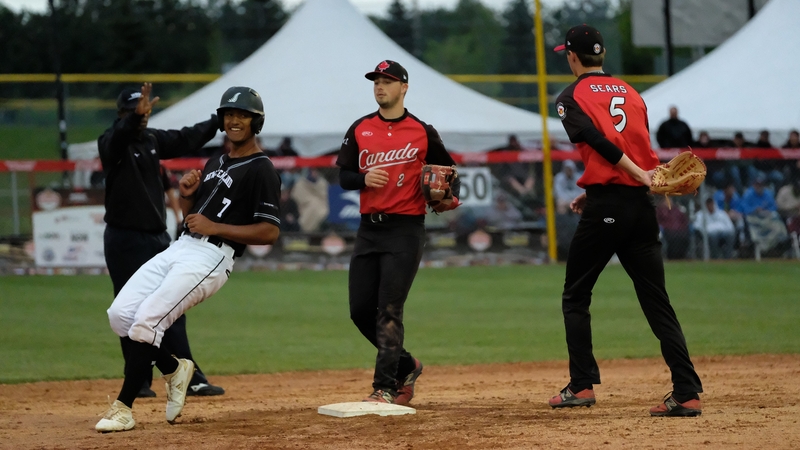 Host Canada ends the WBSC Junior Men’s Softball World Championship at fourth place, while New Zealand will play tomorrow the semifinal against Japan to see which team advances to the finale against Australia. 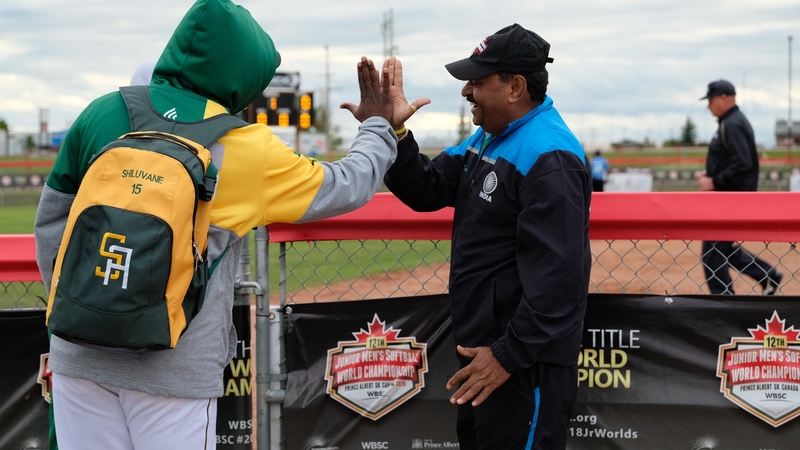 India defeated, 4-1, South Africa and claimed ninth place in the WBSC Junior Men’s Softball World Championship. 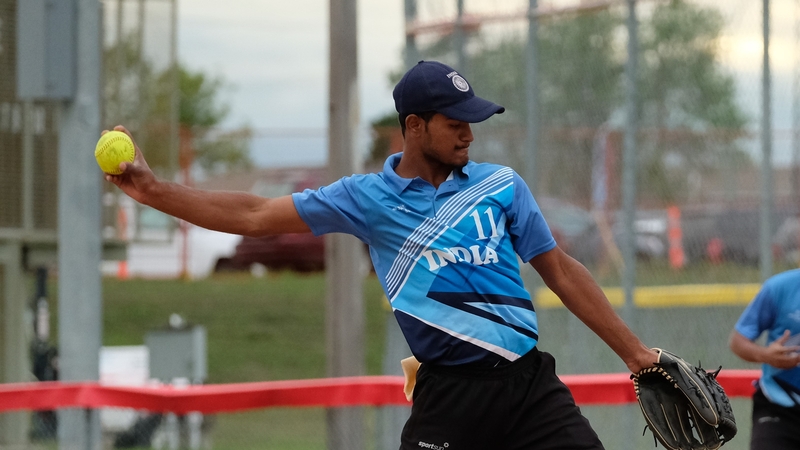 Standout pitcher Gaurav Chaudari started his ninth game in the tournament and went the distance for the sixth time. He combined 52 innings pitched and struck out 59, including 8 in his final effort. He delivered a total 967 pitches. 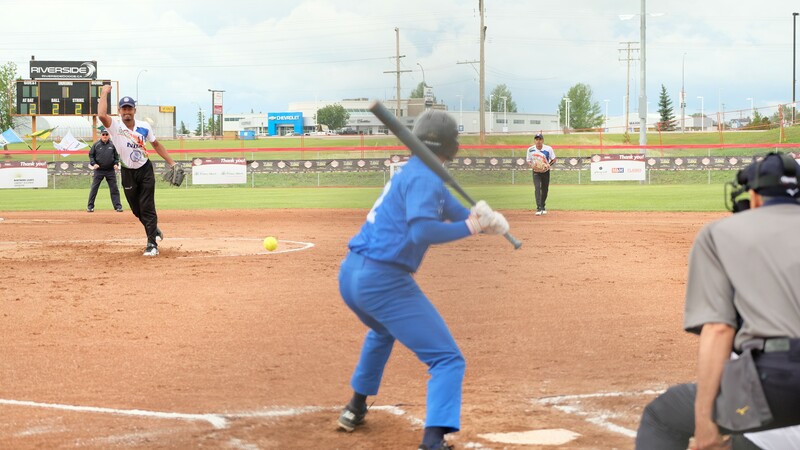 India built the win in the bottom of the second, when they scored three runs on two defensive errors and a double by catcher Dukare. South Africa, that finished tenth, had a long day. They got started with a win, 5-3 against Hong Kong in a game that started at 9.30 pm and was disturbed by rain. 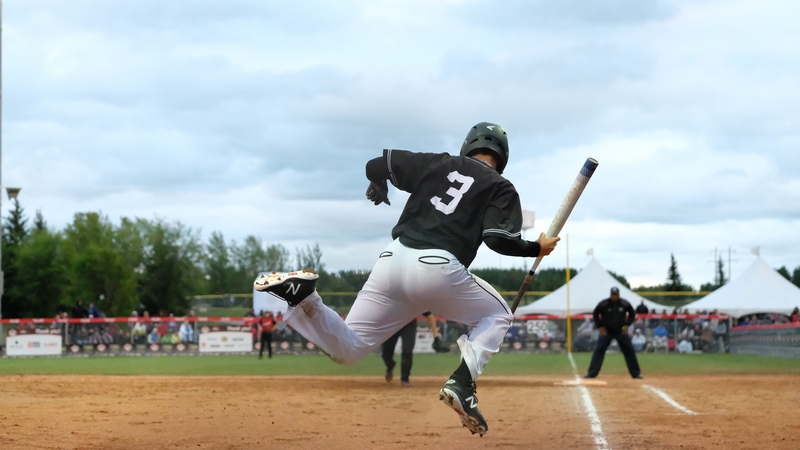 South Africa scored all the runs in a second at bat highlighted by third baseman Joshua Wentzel three run homer. Brendan Brooks picked the win pitching four innings in relief and resisting a late Hong Kong come back attempt. South Africa worked their way into the ninth place game outscoring, 10-2, Guatemala in five innings. Guatemala, that committed seven defensive errors, finished the tournament in eleventh place. India had a less demanding scheduled. They defeated Guatemala, 1-0, thanks to heroic Chaudari, who allowed three hits and one walk and struck out ten. India scored the only run in the first on a base hit by third baseman Chirag Sangwan.